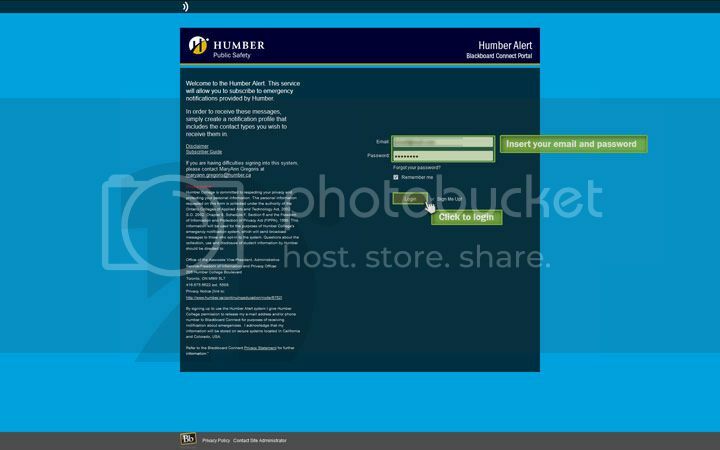 Humber College strives to provide a secure and safe campus for its students, employees, and visitors. 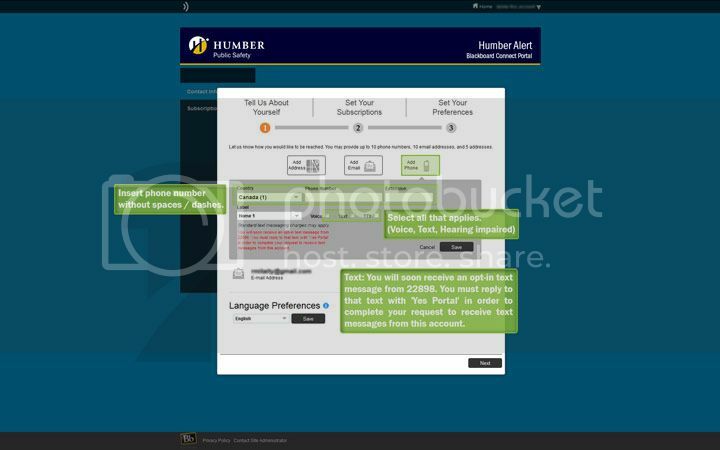 To keep the Humber community informed of emergency situations, Humber offers the Humber Alert mass notification system from Blackboard Connect. 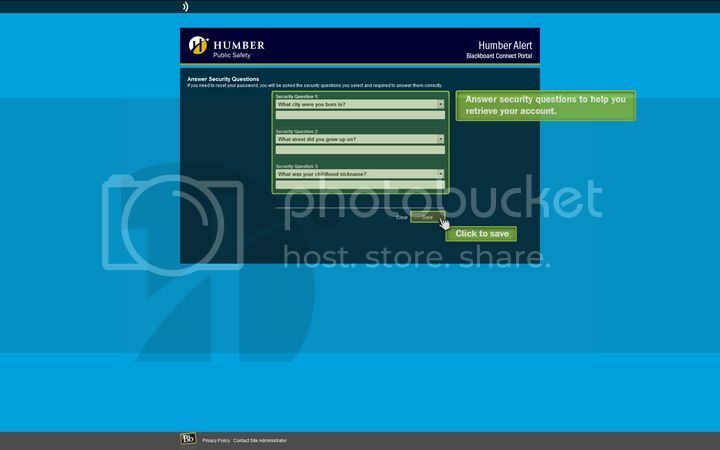 Students, employees and the public can sign up to receive important information and instructions during an emergency. 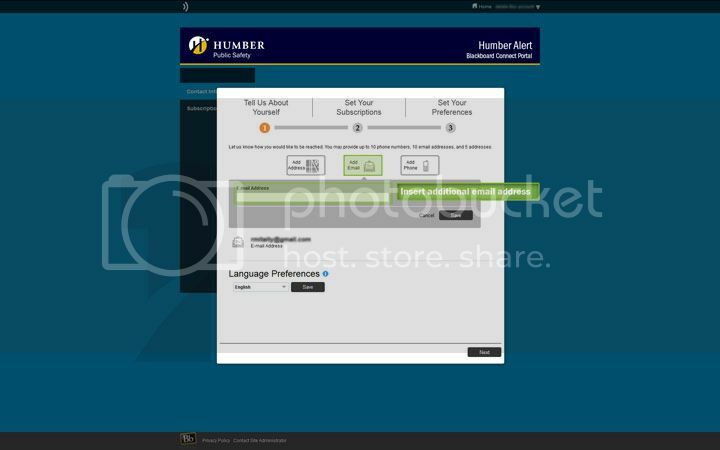 You can register multiple emails and phone numbers to receive messages by voice, text, and email. 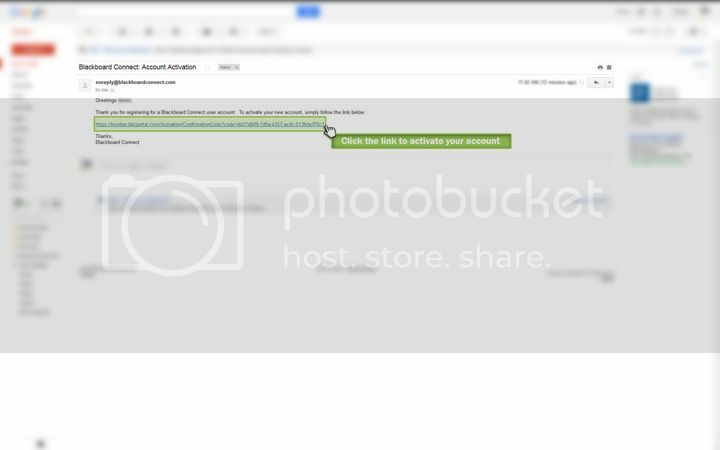 If you want to receive these messages, you must sign up. 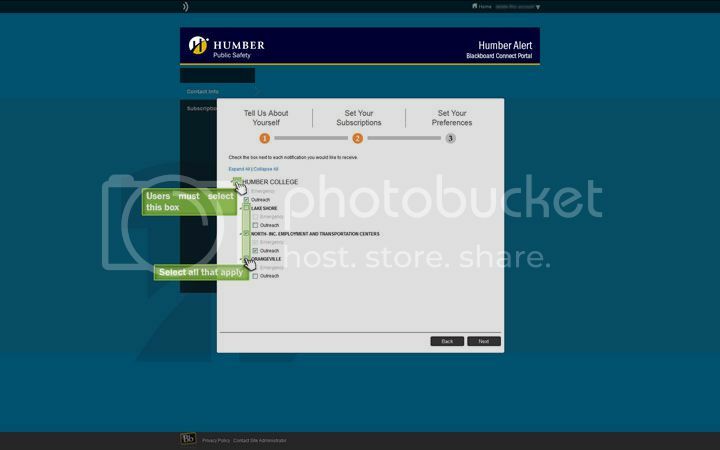 Humber does not automatically enter any contact information into this system. 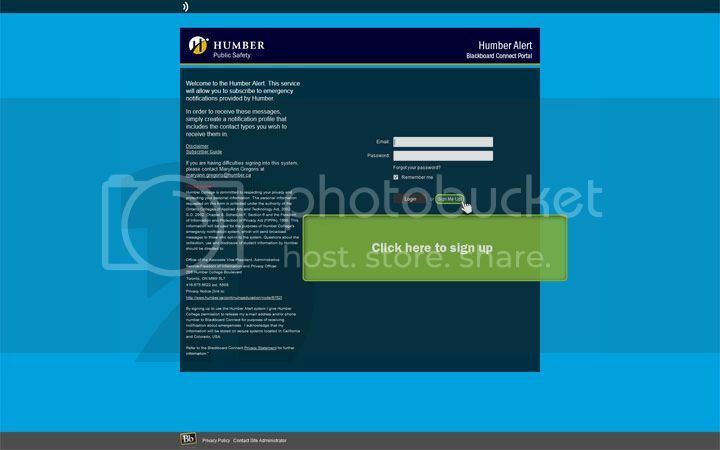 You can change your contact information or unsubscribe at any time. You must now log in to subscribe. If you are a Humber employee, please enter your Humber contact information as well as non-Humber contact information.